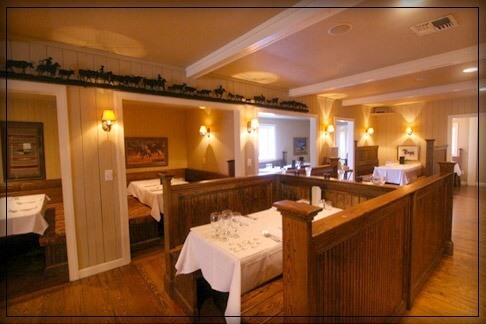 JKs Restaurant – Outer Banks Steak, Ribs and Seafood ‹ One taste, and you're coming back. JK’s can help you with your off-site catering for events, rehearsal dinners and weddings. Our main JK’s Dinner menu. These time tested dishes are all Outer Banks All-Stars. Our daily specials are always fresh, and our menu changes accordingly. JK’s serves only the finest meats, aged in-house for over 30 days and cut by our own “In-House” butcher. JK’s beef and signature ribs come exclusively from the Midwest, providing the restaurant with a product that has superior marbling, tenderness and flavor without artificial stimulants. JK’s wine list embraces the restaurant’s long standing tradition of offering an exceptional selection of fine wines in every price range. We believe that an excellent, fair-priced bottle of wine should be enjoyed with the restaurant’s varied menu. JK’s opens at 5pm 6 days a week ~ closed on Sunday in the Fall/Winter.